Cats are great and everything but they can be a pain. Their fur gets everywhere, they constantly meow for food, and they like to dig their claws into your chest while you sleep. My Talking Angela gives you all the benefits of having a real cat, without the baggage. 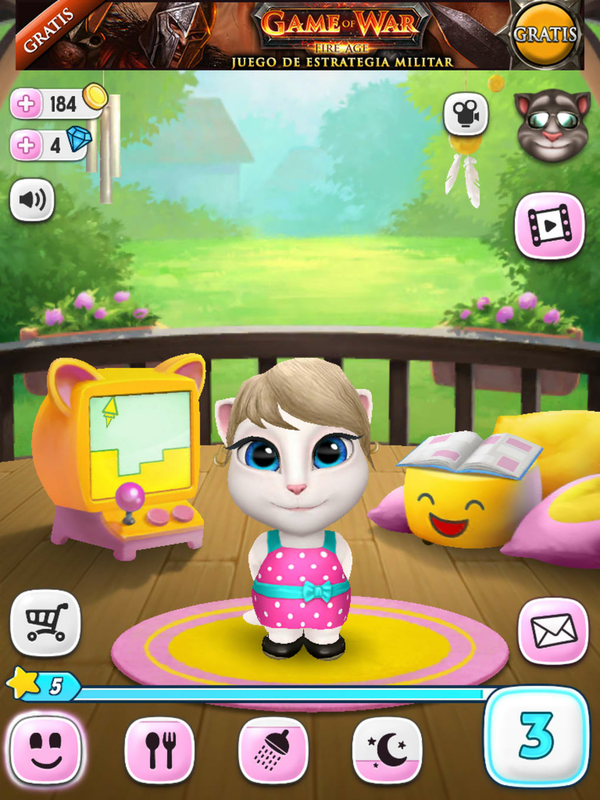 It's a virtual pet game in the same vein as My Talking Tom, where you get to feed, groom, nurture, dress, and play with the sassy star of Talking Angela, Tom Loves Angela, and Angela's Valentine. 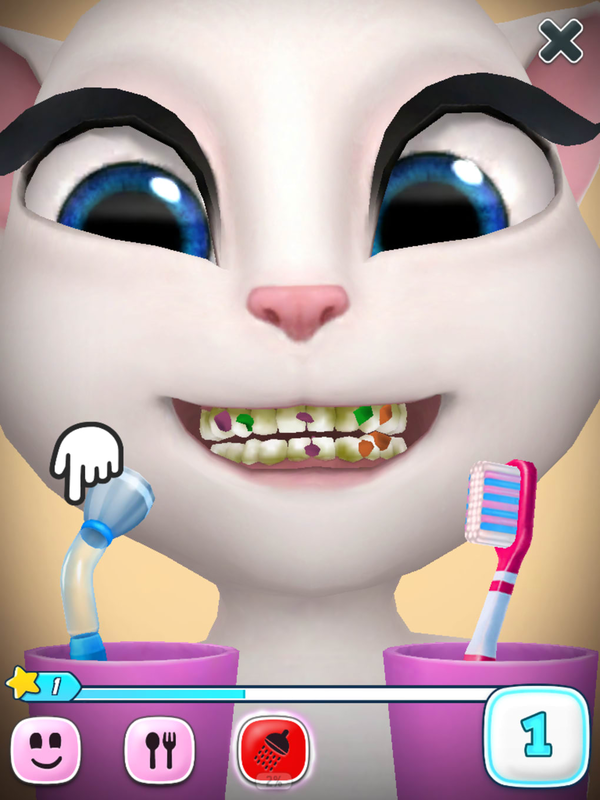 There are several facets to My Talking Angela, allowing you to engage with her in a number of ways. 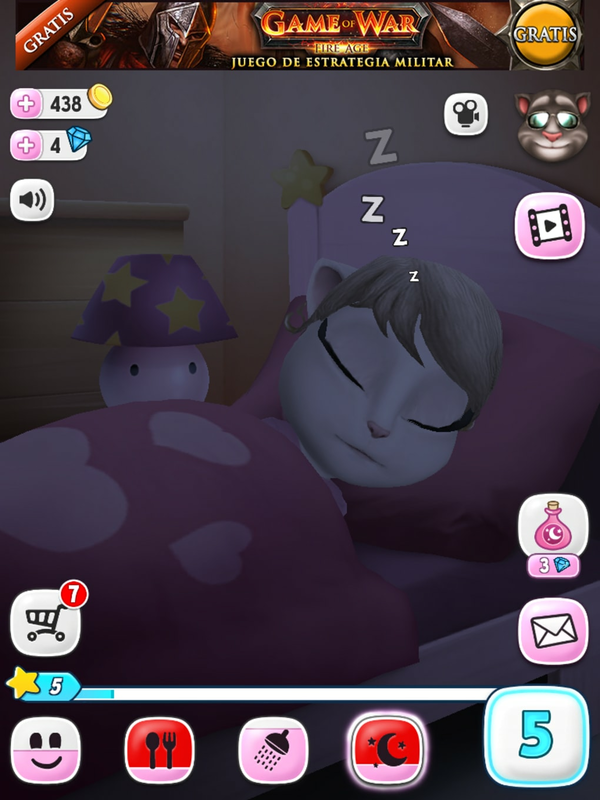 The 'virtual pet' element to the game involves the usual kind of thing: stroking, feeding, showering, and putting Angela to bed. These parts are well executed but it's hardly original, and there's only so much of it you can take before you get bored. 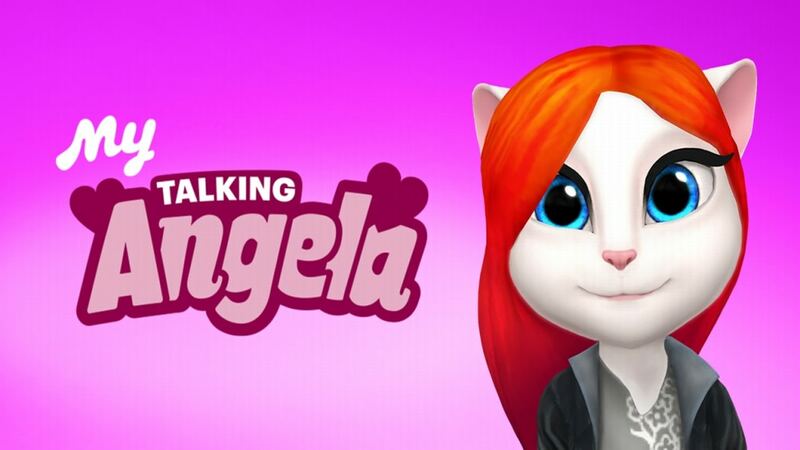 Thankfully there's plenty of other things to do in My Talking Angela. 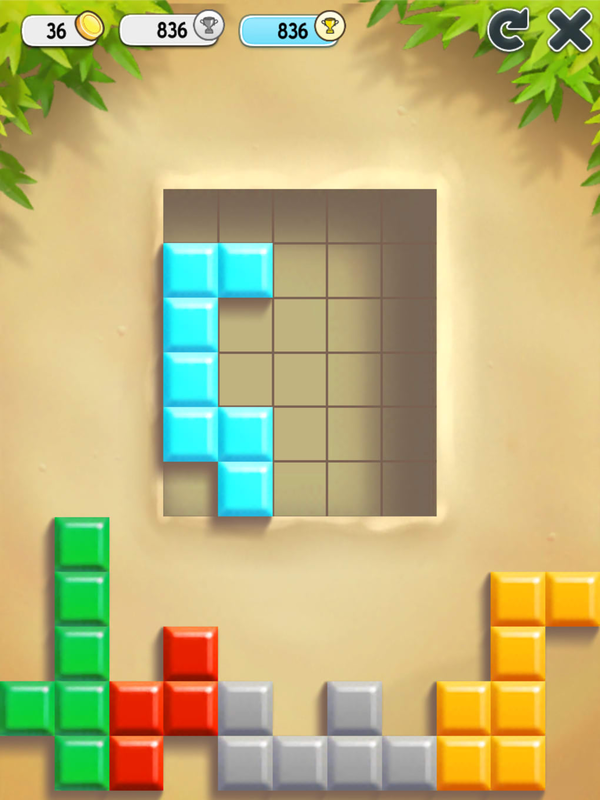 There are three fun mini games: Brick Breaker, Suitcase Tower and Tiny Puzzles (where you need to put together Tetris-style pieces to fit on a grid). 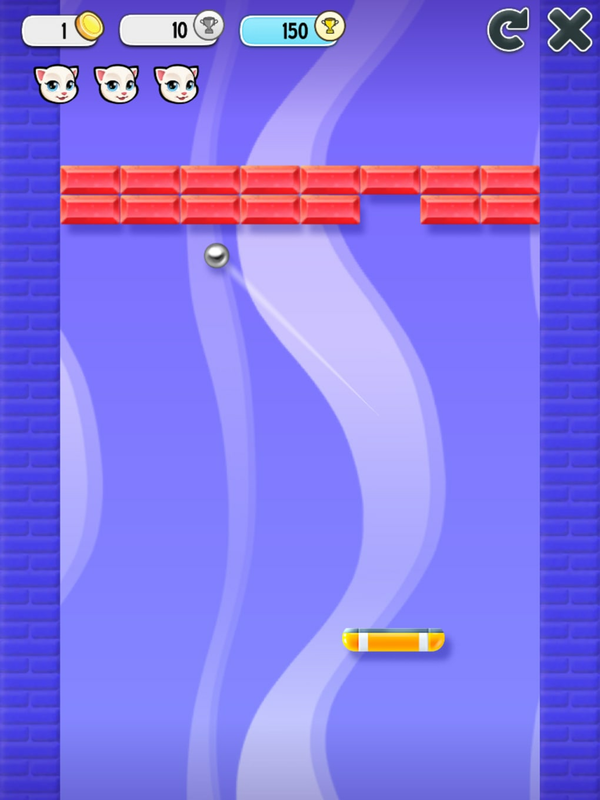 The games are easy to pick up and play, and very addictive: although they are let down by the fact that your progress isn't saved when you exit them. 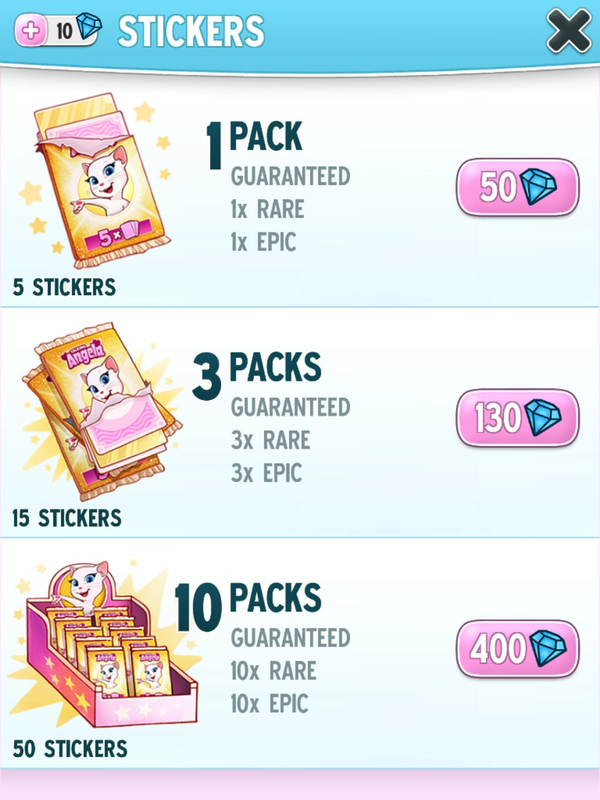 Another interesting part of My Talking Angela is the sticker packs that you can unlock by leveling up or completing tasks. 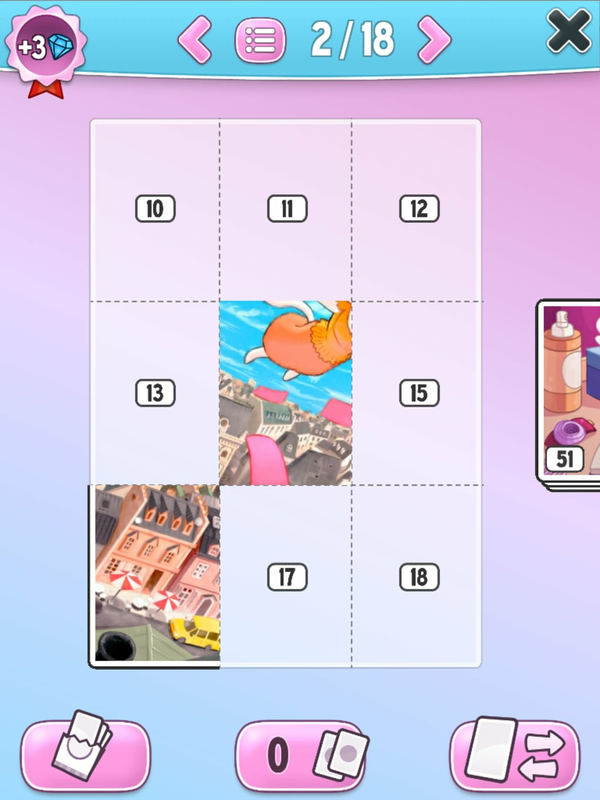 Each pack you're given contains several stickers that you then put into a virtual sticker album. 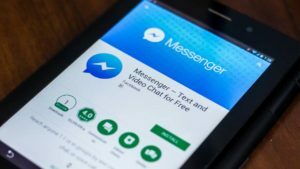 You can even trade stickers with other players around the world. 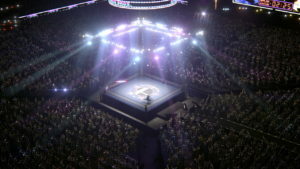 It's a great and unique aspect of the game, which will keep you coming back for more. 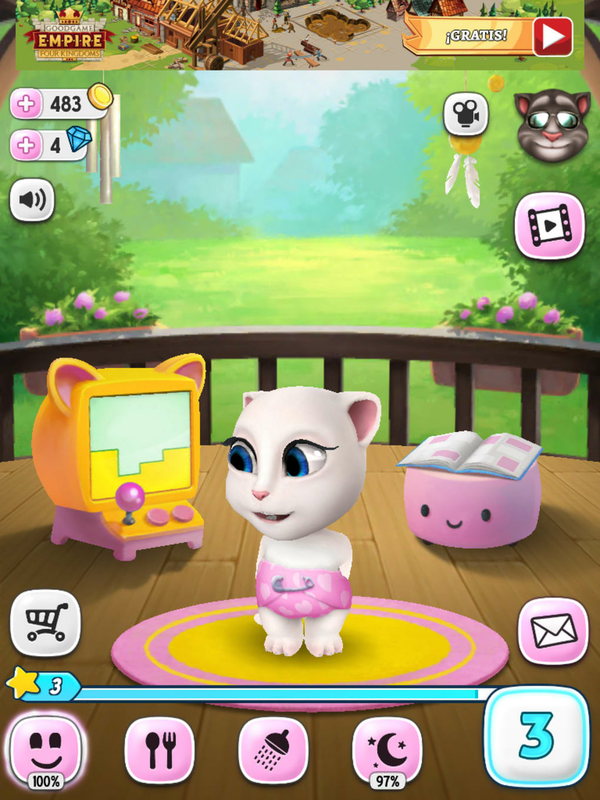 One feature of My Talking Angela that should appeal to young girls in particular is the ability to dress up Angela and make over her surroundings. You can change her outfits and get new furniture to change the scene. 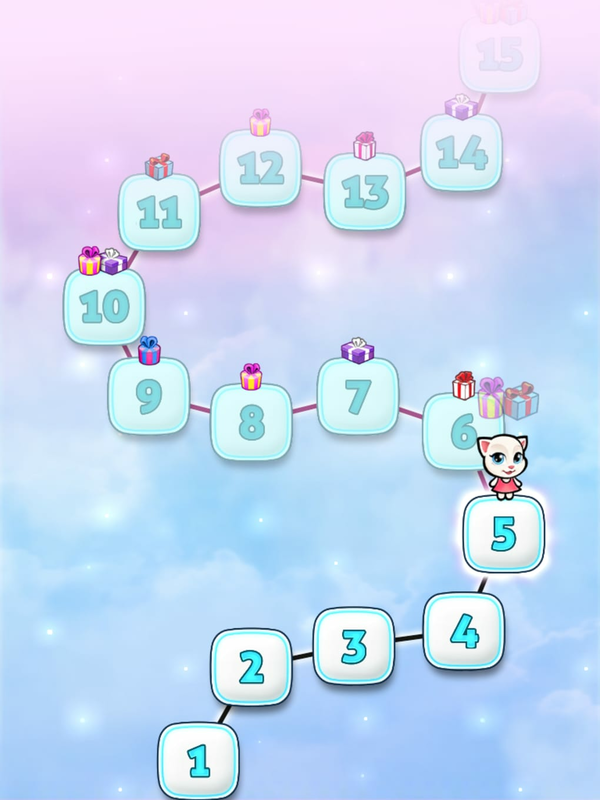 Clothes and items can be purchased using game currency, which is earned by leveling up Angela, through the mini games, or by purchasing. 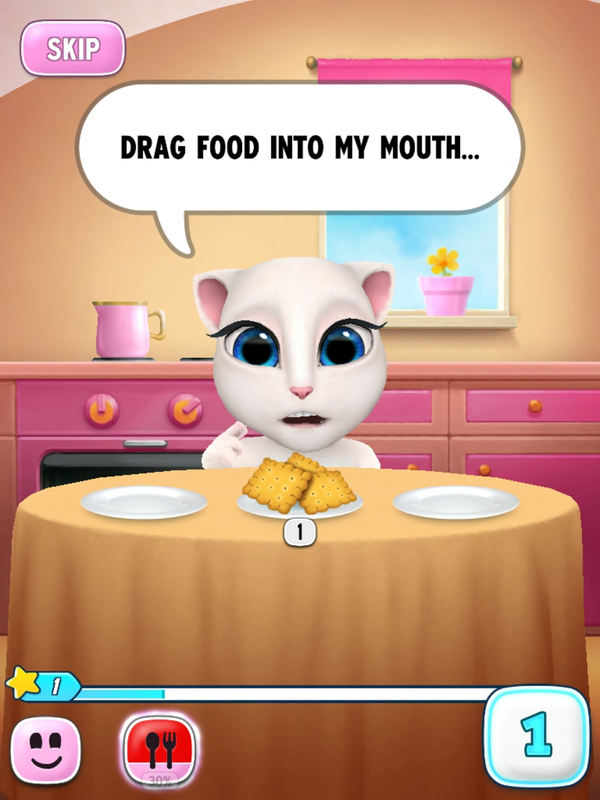 Just like Talking Angela (and, in fact, Outfit 7's entire back catalog of 'Talking' games) you can make Angela repeat what you say into the microphone in a high-pitched, cute cat voice. 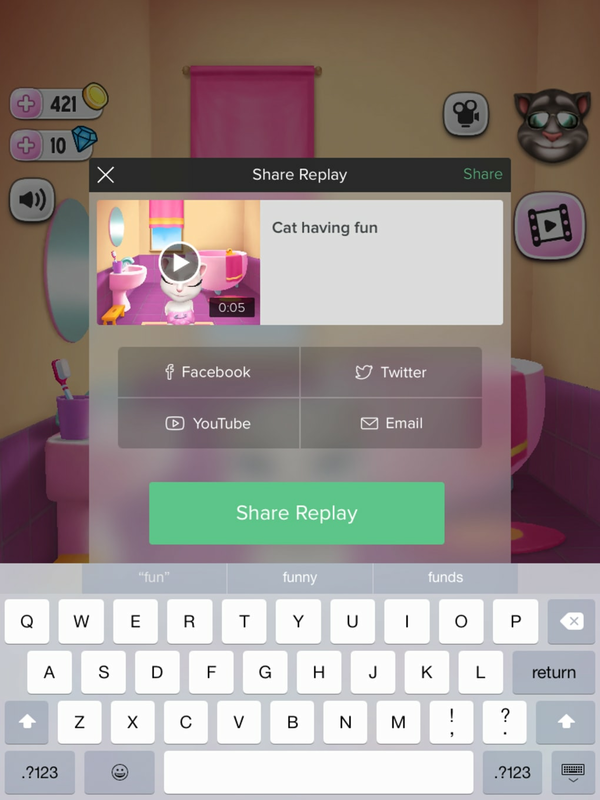 It's also possible to record the screen and share videos of what you get up to with Angela. 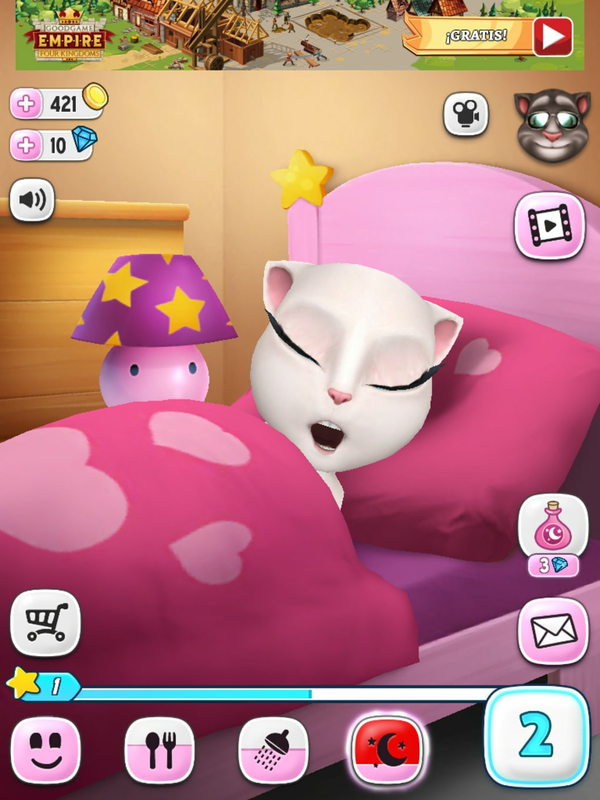 My Talking Angela is very simple to play, making it ideally suited for kids, even the younger ones. 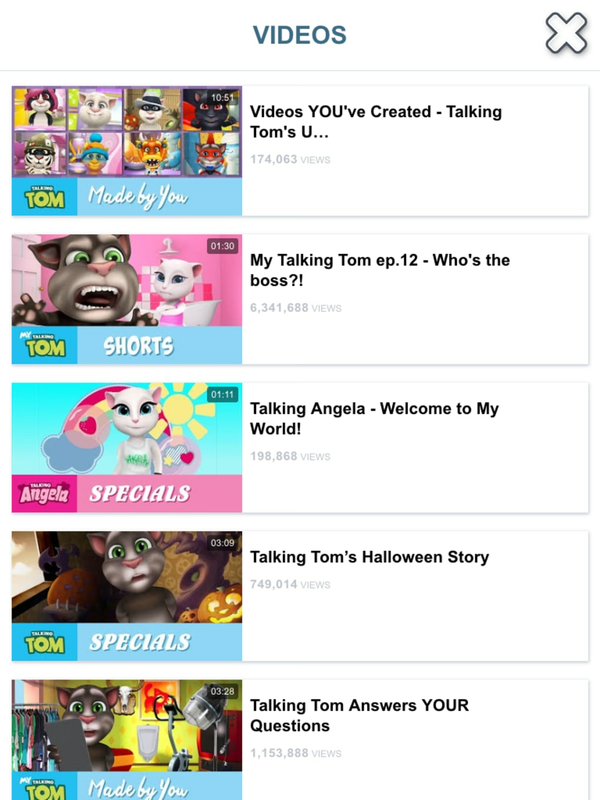 All of the various parts of the app's menu are explained well when you first start using My Talking Angela, mini game controls are ultra simple, and the menu icons are large and clear. 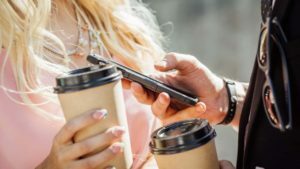 When you perform certain tasks, items bounce to indicate that it's time to use them. For example, when you're soaping Angela's body the shower head starts to jump slightly to show you that it's time to rinse her off. It's a subtle yet helpful way to indicate what to do next. 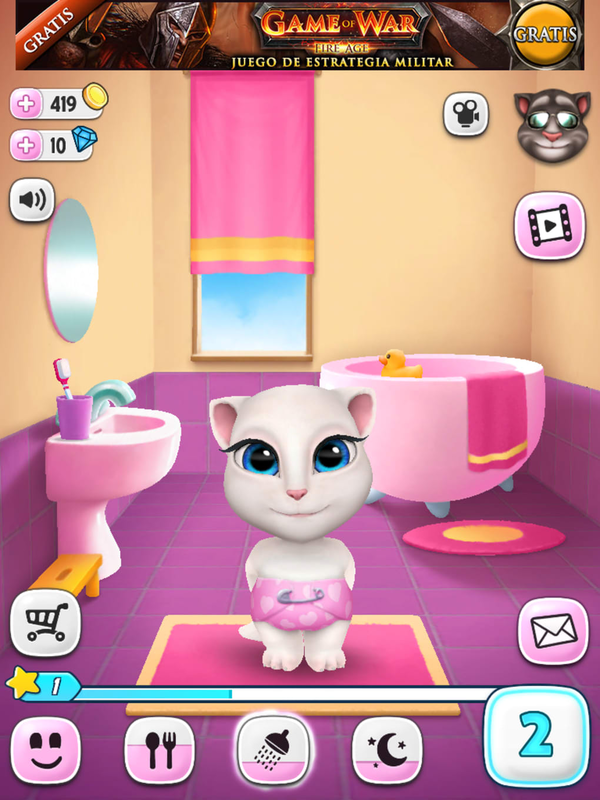 The design of My Talking Angela is sweet and cutesy. Pink features very heavily as part of the color scheme and the character herself is vibrant and full of life. Angela is expressive, and you can judge how she's feeling by her eyes and the little noises she makes. 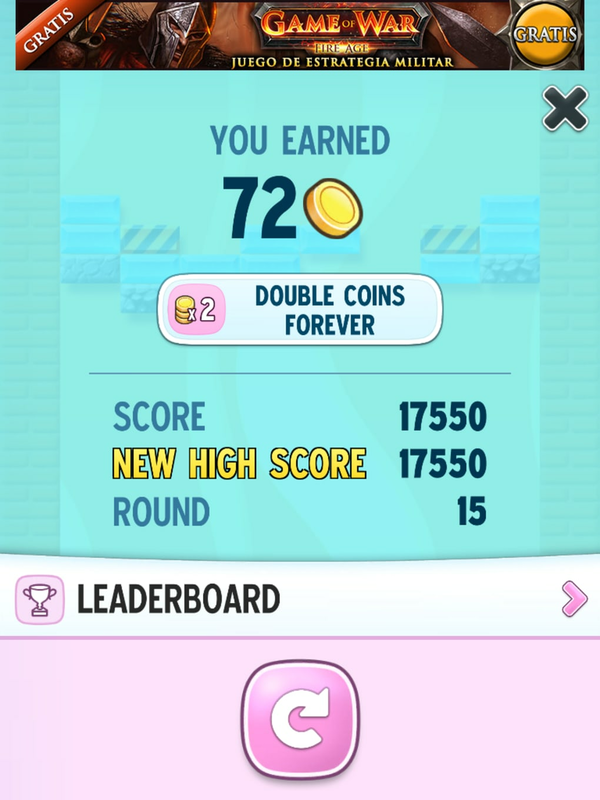 Music in the mini games is upbeat and quickly gets stuck in your head. My Talking Angela certainly isn't for everyone. 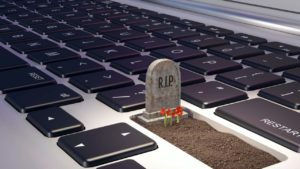 The tasks can be monotonous and tedious and gamers who like lots of action should probably avoid this one. 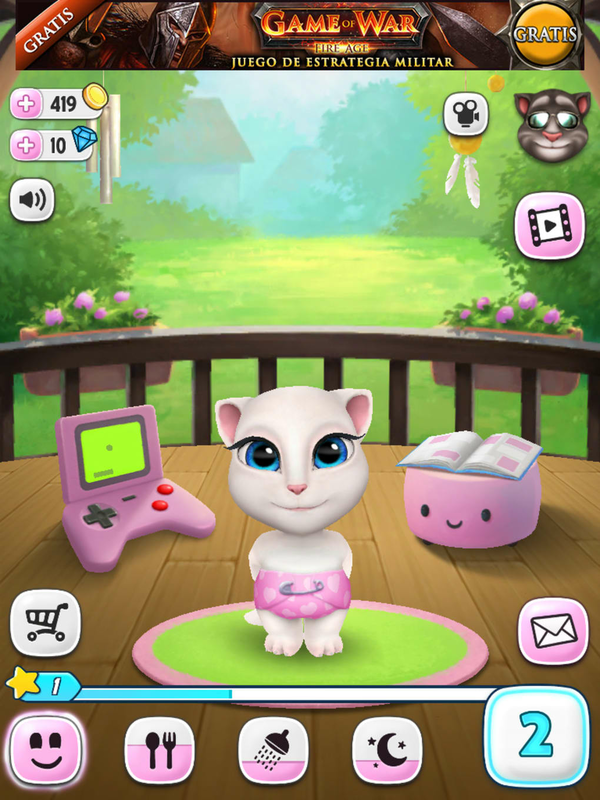 However, for some, particularly young children, My Talking Angela makes for a cheerful and fun way to learn about looking after a pet.